Watch: Nation of Islam leader visits Iran, leads chant of 'Death to Israel, Death to America' on anniversary of US embassy takeover. The controversial leader of the Chicago-based Nation of Islam movement visited Iran over the weekend, and denounced the Trump administration’s decision to reimpose economic sanctions on the Tehran regime after the US withdrew from the 2015 Iran nuclear deal. Louis Farrakhan, the 85-year-old leader of the fringe movement, travelled to Tehran for the 39th anniversary of takeover of the American embassy in Iran, which was observed in Iran on Sunday. On November 4th, 1979, in the midst of the Islamic Revolution, Iranian radicals backed by the Ayatollah Khomeini forced their way into the American embassy compound in Tehran and seized the building, holding 52 Americans hostage. The ensuing crisis lasted for over a year, ending with the release of the hostages on January 20th, 1981. Speaking at an event in Tehran Sunday, Farrakhan excoriated the Trump administration over its decision to restore sanctions on the Iranian regime, after the US dropped out of the 2015 Joint Comprehensive Plan of Action in May. During his address, Farrakhan referenced pronouncements by Iran’s spiritual leaders that the US is the ‘Great Satan’ and appeared to back the claim, saying that ‘Satan would be actively involved’ in trying to undermine Iran. 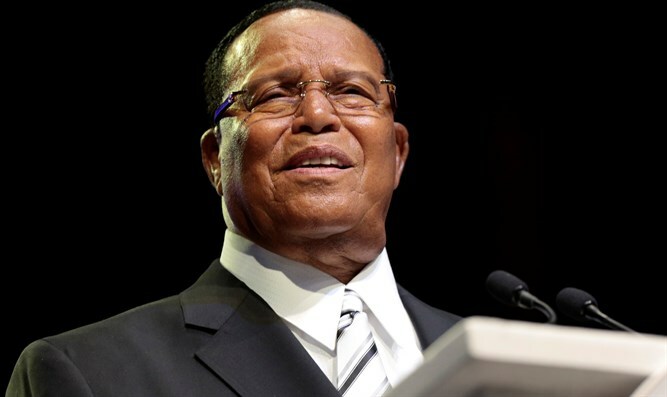 "I am coming to you from the United States of America, that is gloating over the fact that the president of the United States is going to place on the Islamic Republic the most stringent sanctions that have ever been placed on any nation before,” said Farrakhan. "Is it not true that you have called America the 'Great Satan'? Well, if you believe what you say, then would not Satan be actively involved in trying to destroy a nation that is set up on the belief and practice of submission to the will of God? So we should not be surprised at what Satan does to ill affect the righteous." "America is making it very hard for Iran to carry out its mission. But if you have the strength to persevere under these trials, the victory will be yours." During his visit, Farrakhan also appeared on Iranian state television, leading a chant of ‘Death to Israel’ and ‘Death to America’ in Farsi. In October, Farrakhan drew criticism for a video clip, recorded during a public address, in which the Nation of Islam leader compared Jews to termites. “I'm not an anti-Semite. I’m anti-termite,” Farrakhan said.